Treaty 6 Grand Chief Wilton Littlechild will be a keynote presenter as Edmonton hosts its first Live Active Summit, which focuses on healthy cities and communities through physical activity and physical literacy education. The three-day event kicks off April 6 with an Elder’s blessing and remarks by Edmonton City Councillor Michael Walters and the Provincial Minister of Culture and Tourism Ricardo Miranda. It runs through to April 8, when Edmonton gives free access to all city recreation facilities for city residents. On Friday, Littlechild will speak on the role of sport and physical activity in reconciliation. Littlechild was one of three commissioners on the Truth and Reconciliation Commission. 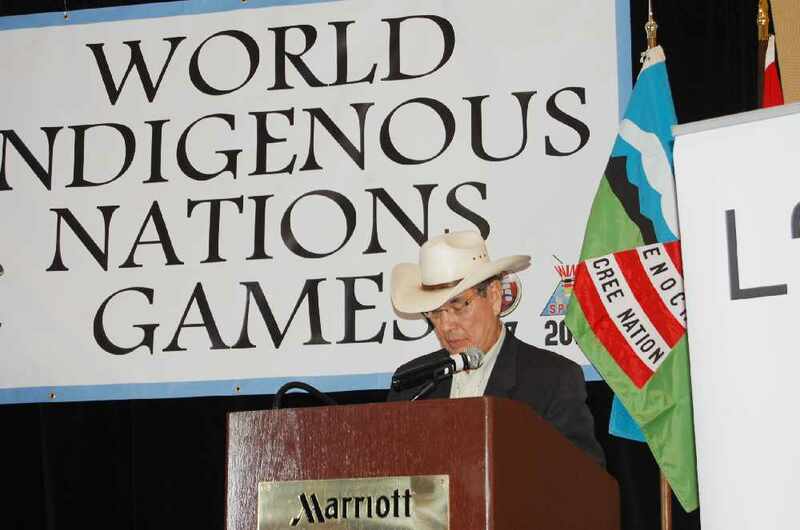 He is also one of the founders of the World Indigenous Games, which are coming this summer to the Enoch Cree Nation and Edmonton. Dr. Sean Lessard, associate professor in the Faculty of Education, Indigenous Studies at the University of Alberta, is among a four-member panel that will be discussing how “living active” contributes to overall wellness. That discussion takes place Thursday morning at Commonwealth Community Recreation Centre. On Thursday afternoon, Olympic medallist Beckie Scott will be talking about how Ski Fit North Alberta is working with Indigenous communities in Alberta to promote cross country skiing as a healthy lifestyle. Over the past few years, Scott has instructed at numerous schools with high Indigenous student populations. The Live Active Summit is presented in partnership with Everactive Schools and the Edmonton Sport Council in support of Edmonton’s 10-year Live Active Strategy.